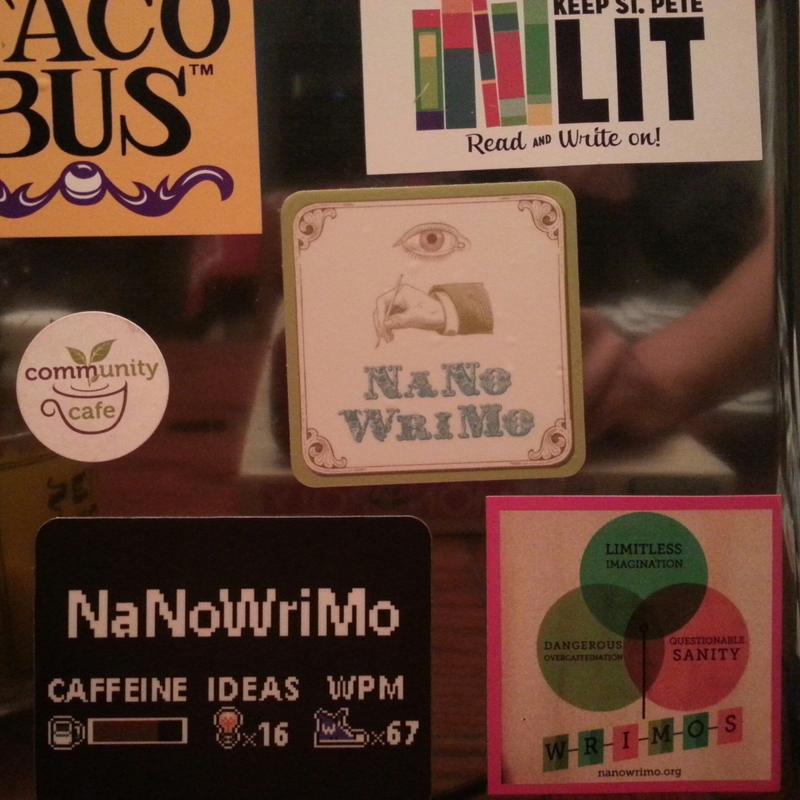 From top left: Taco Bus, Keep St. Pete Lit organization, NaNoWriMo 2014 badge, NaNoWriMo 2012 badge, NaNoWriMo 2013 badge, Community Cafe, my writers hangout. Posted on November 25, 2014 November 25, 2014 by Von SimeonPosted in Art, NaNoWriMo, PhotographyTagged Art, National Novel Writing Month. Previous Previous post: Who’s The Big Winner? Von’s The Big Winner! YAAAY! Next Next post: At The Home Stretch #NaNoWriMo Peeps..YOU GOT THIS!! !